Rovio Entertainment has chosen Sony Pictures Imageworks, Inc.  in Vancouver as its primary animation house for the production of the Angry Birds movie, the upcoming animated film based on Rovio’s globally beloved brand. The film is being produced by John Cohen and Catherine Winder and executive produced by Mikael Hed and David Maisel. The movie is being directed by Fergal Reilly and Clay Kaytis; the screenplay is by Jon Vitti. Angry Birds is slated for a July 1, 2016 release and will be distributed worldwide by Sony Pictures. “It was very important for Rovio to find the perfect partner – in style, talent and location – to bring the Angry Birds movie to life, and Sony Pictures Imageworks in Vancouver made that decision easy,” said Mikael Hed, CEO of Rovio Entertainment. “After searching the world to find the best animation facility, we felt that the talent at Sony Pictures Imageworks was unparalleled,” Cohen and Winder added. The British Columbia Ministry of International Trade has actively facilitated the establishment of Rovio Animation in Canada and the partnership with Sony Pictures Imageworks Canada. Through the assistance of ministry staff and support from the Ministry of Jobs, Tourism and Skills Training, this project has found a competitive advantage in an environment that supports business growth in innovative knowledge industries such as digital media. Angry Birds is one of the world’s biggest entertainment brands, starting in 2009 with the original mobile game that remains the number one paid app of all time. With over two billion downloads, Angry Birds has expanded rapidly into entertainment, publishing, and licensing to become a beloved international brand. The upcoming movie marks Rovio’s first foray into feature films, although fans have already been introduced to the Angry Birds universe with the weekly Angry Birds Toons animated series. 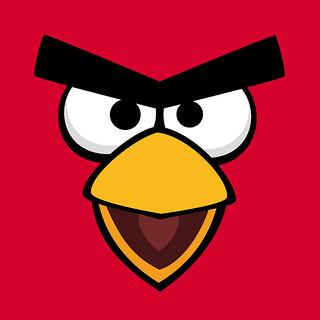 Rovio launched the series in March 2013 through its Angry Birds applications, the ToonsTV, as well as on select video-on-demand channel providers, Smart TVs, connected devices, and on select TV networks around the world. Paving the way for a full-length feature film, Angry Birds Toons has been a massive success for Rovio and has surpassed more than one billion views in its first seven months. In addition, Rovio successfully launched a sequel in the Angry Birds Star Wars saga last September accompanied by Hasbro’s Telepod toys. The game immediately topped app store charts in over 150 countries. 2 Comments To "Angry Birds Movie Nests In Vancouver"